Course Website: Official Website - Visit Preserve Golf Club's official website by clicking on the link provided. 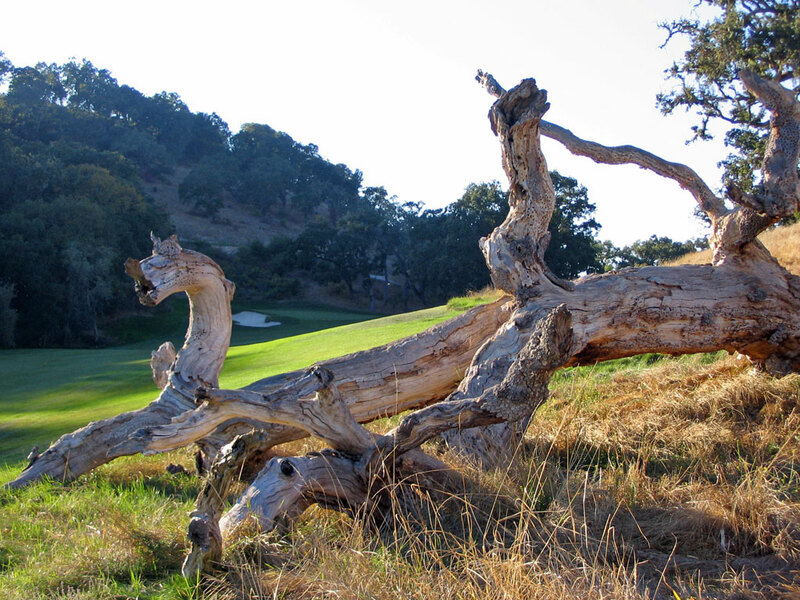 Accolades: Ranked 13th in California on Golf Course Gurus' Best in State list. What to Expect: The grand Santa Lucia Preserve consists of 20,000 acres of gorgeous property near the golf mecca of Carmel and Monterey. The Preserve found itself on national television in 2002 when Mark Calcavecchia and Fred Couples squared off on the recently opened course that houses far more wildlife than it does golfers. The vast property gave Tom Fazio's team (J. Michael Poellot and Sandy Tatum) oodles of latitude on how to layout the course and best take advantage of property. Just to arrive at this remote location requires a 15 minute drive up one of the windiest and skiniest roads you'll ever encounter but upon arriving at the property it is all worth it. The views and remoteness of the course has few rivals while the course itself is another solid Fazio design that doesn't trump the surroundings. Signature Hole: 18th Hole – 450 Yard Par 4 – The final hole at The Preserve is a slight dogleg left that plays over a ravine and uphill the entire way to the green. A large bunker protects the inside of the dogleg while a pair of bunkers are found left of the green. The due north travelling fairway slopes with the natural terrain from right to left and filters towards another ravine. 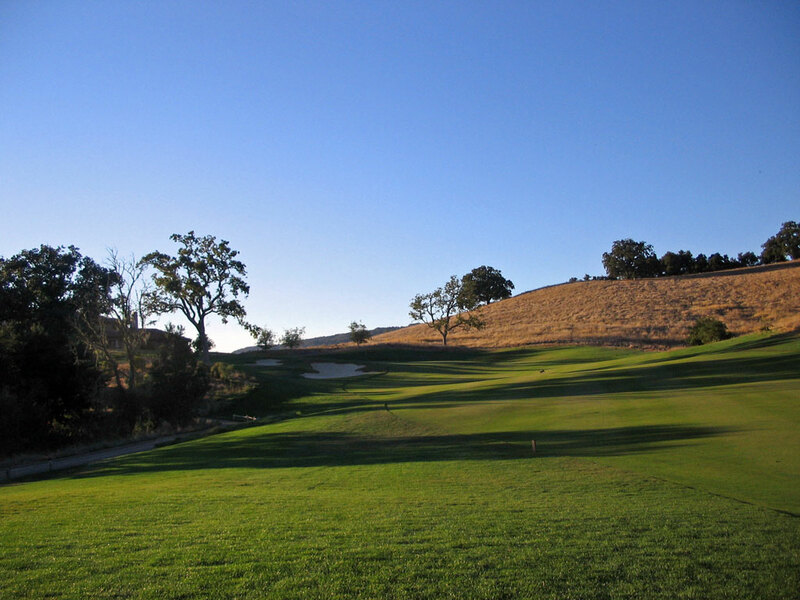 The approach shot is attractive with the tree covered hills among the California mountains acting as the backdrop along with the impressive clubhouse. Best Par 3: 6th Hole – 209 Yards – From the tips this hole plays slightly downhill through a chute of trees to a green sitting at a 45 degree angle; running front left to back right. A bunker protects the right side of the green and sits just below the putting surface. From the tee, views of trees are afforded for as far as the eye can see as they climb up over the distant mountains; another secluded, beautiful hole. 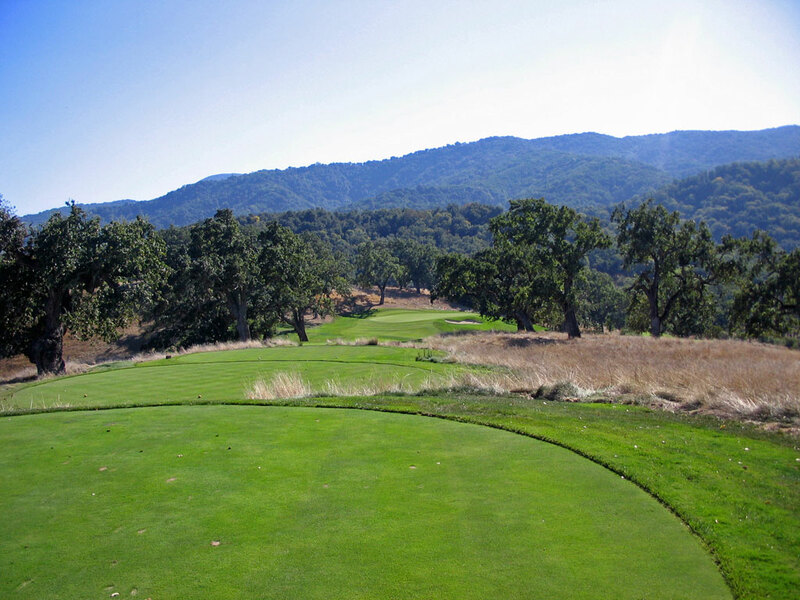 Best Par 4: 1st Hole – 442 Yards – The opening hole is an attention grabber! The tee shot plays well downhill and introduces strategy right off the bat; do you hit driver and try to thread your tee to a narrow fairway or do you layup where the fairway is twice as wide? Although there is plenty of fairway to the left, a layup shot that direction could block the approach shot due to the trees encroaching in from the left. The deep and relatively narrow green features a bunker on each side of putting surface. You will likely be introduced to wildlife right off the bat at The Preserve where deer and wild turkeys often roam this hole. Best Par 5: 17th Hole – 558 Yards – The second to last hole at The Preserve travels westerly and is the only hole on the course that doesn’t feature a single bunker. The fairway flows back and forth and features several trees that frame the hole. With little trouble to be had, this is a great hole to try and reach in two. There is forgiveness to the left of this wide but swallow green. Ideally you would try and play a fade into this green so that if your balls ends up going dead straight you still will have a good birdie chance with a chip from wide landing zone left of the putting surface. Birdie Time: 16th Hole – 141 Yard Par 3 – Among the vast acreage found at The Preserve, Tom Fazio found it fit to design a quaint sub-150 yard par three as the round begins wrapping up. This short hole is a great opportunity to attack the flag and make something happen. If the flag is tucked behind the two front left bunkers then it will be tough to leave your ball close, but you’ll have a nice uphill putt that you can be aggressive with. Bogey Beware: 15th Hole – 443 Yard Par 4 – The toughest hole at The Preserve is a slight dogleg left that also goes uphill. The cut anything off the length, you have to try and carry the two fairway bunkers on the left and find the fairway that narrows up significantly beyond the bunkers. The green is tucked into the base of a hill and features a bunker at the front left portion of the green. The sloping fairway offers several uneven lies and combines with the uphill geography to make it difficult judging your approach shot into this green.